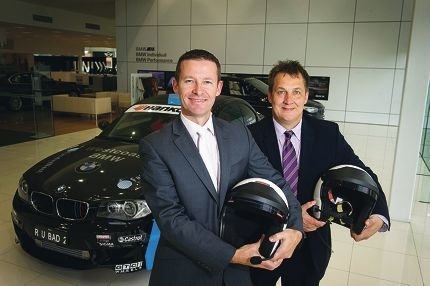 Alan Matthewson and Darren Padley, Westcoast BMW’s general manager and sales boss respectively, have strong motorsport backgrounds. Alan (41), who has a mechanical background and 15 years of experience in circuit racing, will drive the pair’s BMW 135i M Sport. Co-driver Darren (42) has competed in the UK Rally Championship, run his own team in the British Touring Car Championship and is a licensed race instructor. ‘We have spent the past 18 months developing the BMW 135i M Sport to give ourselves the best possible chance of winning,’ Alan said.